Online ordering menu for Da Vinci Italian Restaurant. 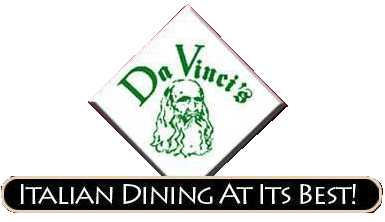 DaVinci's is an Italian Restaurant offering authentic Italian dishes, gourmet specialty pizzas, delectable desserts, an extensive wine and spirits list and service extraordinaire - all in warm, inviting atmosphere. We have been proudly serving you in the same location for over 11 years. Your satisfaction is our number one priority. Get delicious dishes at affordable prices. Take advantage of our fast and friendly service. More food choices on our online menu, Order Online for Carry Out. We are located on the corner of 29th Ave NE and N Center St. About ten minutes driving from Lenoir-Rhyne University.